Will August Bring More Sales? In South Walton, we have been very fortunate that our beaches haven’t seen much effect from the BP oil disaster in Louisiana. It seemed like many prospective buyers put their purchase on hold, waiting to see what would happen to the beaches, and to the prices. 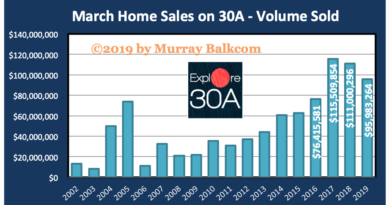 Not surprising, since the explosion of the Deep Horizon oil rig on April 20, the number of sales dropped increasingly through July 2010, as seen in the chart below, according the sales reported to the Emerald Coast Association of Realtors. Total dollar sales volume also decreased about the same level during this period. Now, with the oil well capped and cement being poured to permanently plug the well, and with a lack of oil washing ashore in South Walton, we may begin to see a turn in the market, but only time will tell for sure. Until the explosion of the rig, we had seen very positive sales results this year and the end of 2o09, with some months having sales on similar levels to sales during the market’s peak in 2005 and 2006. One way of looking into the expectations of future sales is to look at pending sales (properties currently under contract, which have yet to close). The chart below compares monthly pending sales of 2010 vs 2009. The blue bars represent pending sales in 2010. You can see that pending sales for 2010 peaked in April, with 194 pending contracts. That number fell by about half after the Deep Horizon explosion, for the months of May and June. Interestingly, in July, we were busier showing properties and writing contracts, and the number of pending sales increased 66%! 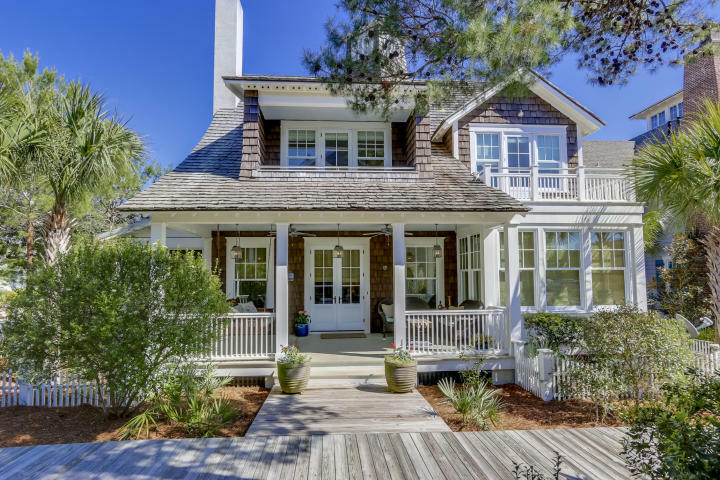 This 66% growth in pending sales may be an indicator that buyers feel confident that they have seen the worst of the oil, as it affects real estate values in South Walton. 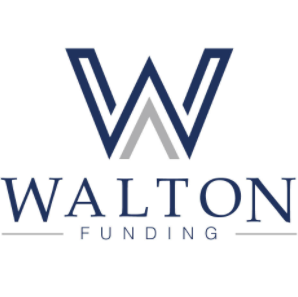 We haven’t seen that great of a jump in pending sales for a long time in the South Walton market. If the past holds true for the future, we will likely see an increase in closed sales in August, compared to July (but only time will tell). Stay tuned as we go forward. ← Is a housing shortage coming? Good stuff Murray! I’m hearing a big sigh of relief for SoWal Beaches.